If your contractor does not have a valid license for the type of work being performed or does not have a written contract for you to sign, that is a red flag that indicates that you should not be doing business with that person or company. Your choice of contractor affects every other decision down the line, and a wrong decision to hire an unqualified or unlicensed contractor can prove very costly in the long run. The statute that controls the requirements for a home improvement contract is codified in the Section 7159 of the California Business and Profession Code, but before explaining those requirements, the term “home improvement” itself needs some clarification. 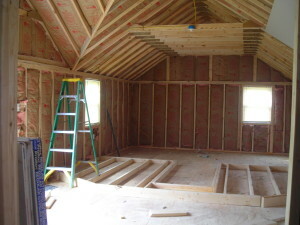 It is quite broad and includes remodeling, repairing, and altering residential property. This relates not only to the home itself but also includes driveways, patios, terraces, fences, garages, pools and spas, and landscaping, and nearly all structures or land modifications. The definition of a home improvement essentially catches any work that was not specifically listed in the law, which means that it applies to a great number of changes to your home. The law also has an additional requirement for a contract to meet the definition of a home improvement contract. The contract price for all work, including labor and materials, must exceed $500. Contractors are obligated to follow a very stringent set of rules when drafting a home improvement contract. These rules control everything from the content of the contract’s provisions to the typeface used for headings and the various clauses in a contract. In many cases, the law dictates exactly what must be written into the contract, and also mandates that work cannot begin until the contractor gives you a copy of the contract signed and dated by both the contractor and homeowner. Typeface for any printed section must be at least 10-point font, and all headings must be in bold including the title “Home Improvement.” There are additional typeface requirements for the first page and body of the document. The name, license number and business address of the contractor. The name and registration number of any home improvement salesperson involved in selling you the contractor’s services. The contract should also contain a notice advising you that the contractor will provide a full and unconditional release from any claim or mechanic’s lien for that portion of the work for which payment has been made. A special change-order form to be used in the event changes or extra work is to be performed. The language of this form is also regulated by law. A notice advising you that the form must be completely filled in and fully signed. The precise language of this notice is also dictated by law. The contract price in dollars and cents. The approximate starting and completion dates of the work. Any finance charges set out separately from the contract amount. A description of the project and a description of the significant materials to be used and equipment to be installed. For swimming pools, additionally details are required. No down payment may exceed $1,000 or ten percent of the contract and a notice must be provided advising the homeowner of this fact. An advisory regarding progress payments which must be put on a specific schedule outlining their amount and a specific description of the work to be done and the materials and equipment to be supplied. A notice concerning commercial general liability insurance requirements. A notice concerning workers’ compensation insurance. A notice stating that you have the right to require the contractor to have a performance and payment bond. A notice concerning mechanic’s liens. A special notice concerning the Contractors’ State License Board (CSLB), including your right to contact the CSLB for information about any contractor, and your right to lodge a complaint with the CSLB against a contractor. There are also specific requirements regarding whether you have a right to cancel and when and how that works. It is important to know that – except for the down payment – a contractor cannot collect a payment for work that has not yet been completed or collect money for materials not yet delivered. Besides the legal fine-print it is important to make sure the contractor is not “front loading” the construction contract by over-estimating the cost of early demolition work so that the contractor is taking their profit in the beginning of the project. This often means that the contractor is hoping they will get their profit first and may leave you with an abandoned construction project. As you can see from this list (and remember, it is only a partial list), the number of required clauses under Section 7159 can really add to the length of a contract. While the law concerning home improvement contracts is designed to protect you from unscrupulous contractors, it also can make your contract a complicated document, and difficult to understand. That is why an attorney with experience in home improvement contracts is so invaluable. Your attorney can help you research a contractor’s history with the Licensing Board, review the contract with you, and work with you to make sure you understand the rights you have before you sign the deal and make a commitment to a contractor. Always remember that you have the right to seek an attorney’s help before signing a contract. If you are considering making the investment to improve your home, the advice of an experienced real estate attorney can be crucial. Adina T. Stern, a Professional Law Corporation can help you draft or review a home improvement contract to ensure that the contract protects your rights and safeguard your interests. The firm handles construction matters for clients in the counties of Orange, San Diego, Riverside, San Bernardino and Ventura including the cities of Agoura Hills, Beverly Hills, Big Bear, Buena Park, Burbank, Calabasas, Camarillo, Carlsbad, Corona, Coronado, Culver City, Del Mar, Diamond Bar, Hermosa Beach, Huntington Beach, Indian Wells, Laguna Beach, Laguna Woods, Irvine, Lake Forest, La Quinta, Long Beach, Mission Viejo, Moorpark, Oceanside, Newport Beach, Palos Verdes, Pomona, Santa Monica, Simi Valley, Solana Beach, Villa Park and Vista.